Sharing campaign by Kathy Stulgis. To anyone who despises the dog/cat meat trade and wants it ended, we need your help. Please contact your House Representative http://www.house.gov/representatives/find/ and ask him/her to support Congressman Alcee Hastings House Resolution 752. The U.S. government for the first time in history may take a stand against the dog meat trade by condemning the Yulin Dog Meat Festival in China. However, if there are not enough supporters, it will not pass. Please don’t let this happen. The vote is soon so please contact your Representative and ask for his/her support. Please tweet and Facebook Speaker Paul Ryan for his support for House Resolution 752, and to allow it to be pushed into the House of Representatives before this Congressional Session ends. 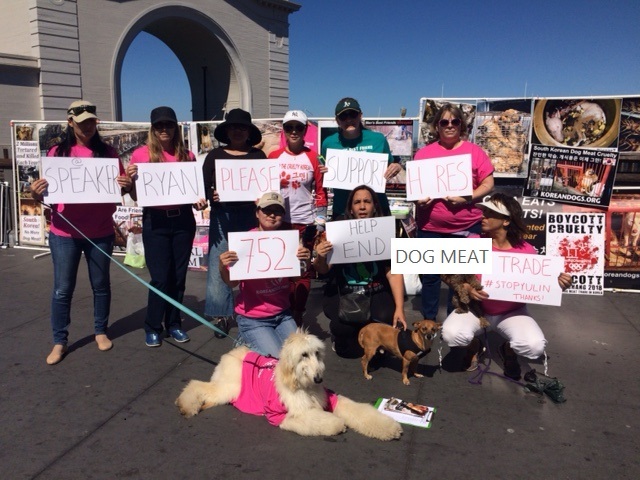 I am writing you as a concerned voter and animal lover regarding House Resolution 752 – Condemning the Dog Meat Festival in Yulin, China, and urging China to end the Dog Meat Trade. If you have not read or decided to support this resolution, I would appreciate your reviewing it and lending your support to this resolution. 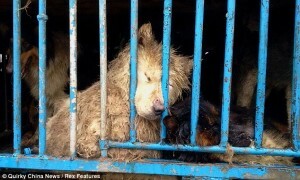 Every year in June, the Dog Meat Festival will be held Yulin, China. During the 10 day festival tens of thousands of dogs will be tortured, then burned or boiled alive so that the participants can consume their meat. Many of these dogs are actually pets, who are stolen from their owners. The dogs are killed under the misguided belief that the more the dog is tortured and the more painful the method of death, the more their virility will increase. They also believe these acts will help keep them cool in the summer and warm in the winter. We need the passage of House Resolution 752 in order to apply political pressure to the Chinese government to get them to stop this annual festival.